At our music studio, our students love creating music-inspired art by drawing with crayons while listening to live classical music. We picked 3 of our favorite classical pieces for you to share with your children. Creating music-inspired art is easy! First, give your children a simple introduction to the music- the title, the composer, and more talking points depending upon age. Then, ask them to listen to the music and draw what they feel. You can start with a blank sheet of paper or print out the coloring sheets below. Paper-free option: save the images to your iPad or any other tablet and “paint” in a drawing app! Flight of the Bumblebee is an interlude from the opera The Tale of Tsar Saltan by Nikolai Rimsky-Korsakov. Rimsky-Korsakov was a famous Russian composer who wrote the piece in 1899-1900. In the opera, a magic swan-bird transforms the Prince into a bumblebee so that he fly to visit his father, who does not know that his son is still alive! This piece of music is very fast! For this one, you may want to ask your children to first watch the short video and then listen a second time while attempting to color in the bumblebee before the music finishes! Simple talking points/questions for young children: What colors are bumblebees? What sound do they make? How do they move? Have you ever seen one? Where? Rhapsody in Blue is a composition written by George Gershwin in 1924. Gershwin was a very talented American composer and pianist who great up in Brooklyn, New York. This piece of music is a perfect mix of classical and jazz! 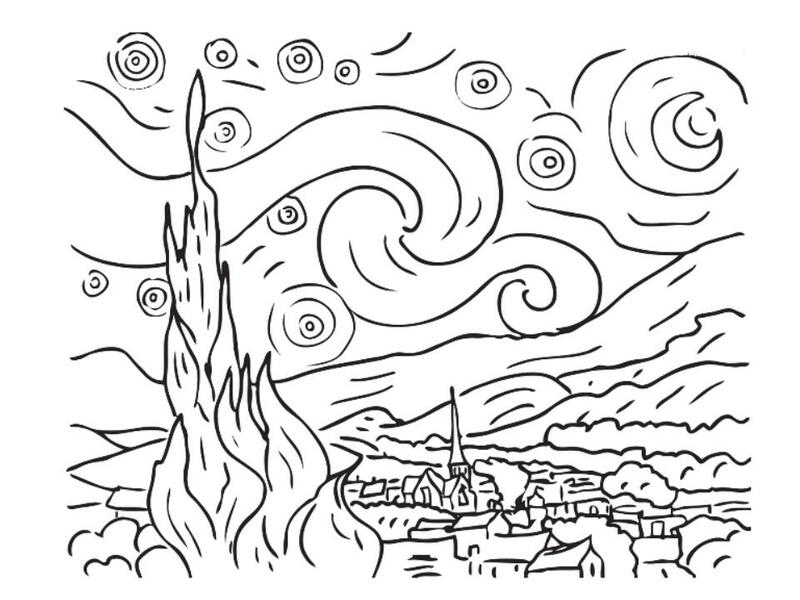 A great coloring page to accompany it is Van Gogh’s “The Starry Night”. 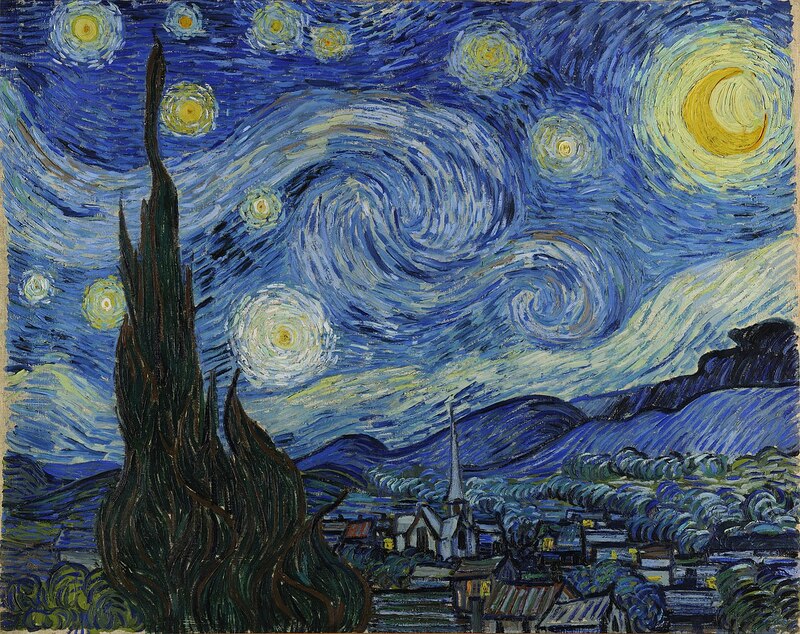 If you’d like, show your kids what the original painting looks like and then they can use various shades of blue to color the sky! This video is much longer than Flight of the Bumblebee (20:20 minutes vs 1:11) so it’s better suited for older children. Jupiter is from Gustav Holst’s orchestral suite The Planets. It was written between the years of 1914-1916. Holst was an English composer- The Planets is his best-known composition. 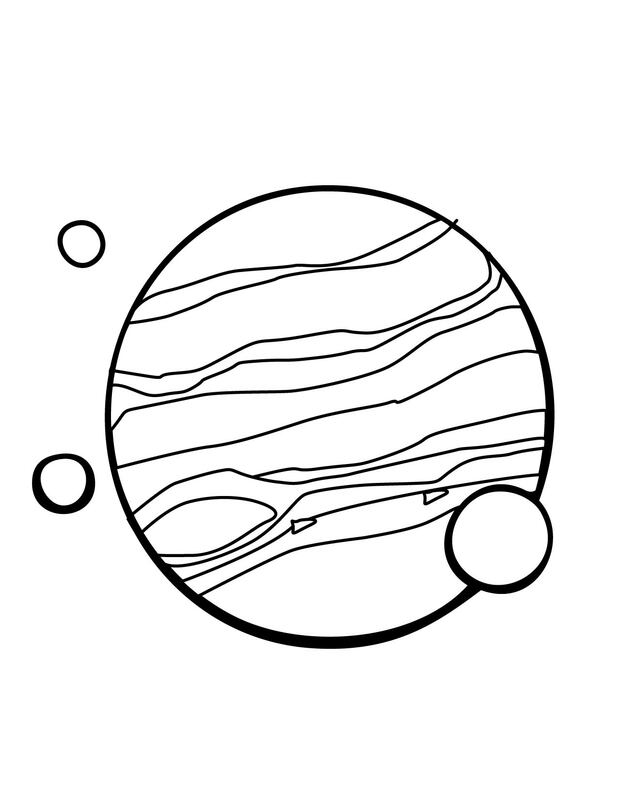 Talking points/questions: Jupiter is the largest planet in our solar system! What planet do we live on? What else do you see in the night sky (stars, the moon, clouds, etc)? For more musical inspiration, check out our post on Saint-Saëns’ Aquarium from Carnival of the Animals. Some of the best times I’ve spent with my son – putting on some music, sitting on the sofa and coloring, drawing, creating, scribbling. The best! !